How much should you spend on an apartment renovation? Buying a dated apartment and giving it a cosmetic update is a smart way for home buyers to gain an affordable entry-point into an exclusive suburb. It’s also a strategy used by flippers to make fast money, and by investors to increase the value of their assets and strengthen their portfolio. This year on The Block, each team has been given a budget of $220,000 to create lavish apartments within a rundown former boarding house. Winning challenges can also boost budgets by tens of thousands of dollars. But if you’re renovating an apartment in the real world, chances are you don’t have a Block-sized budget to spend – and you won’t necessarily need one, according to renovation experts. 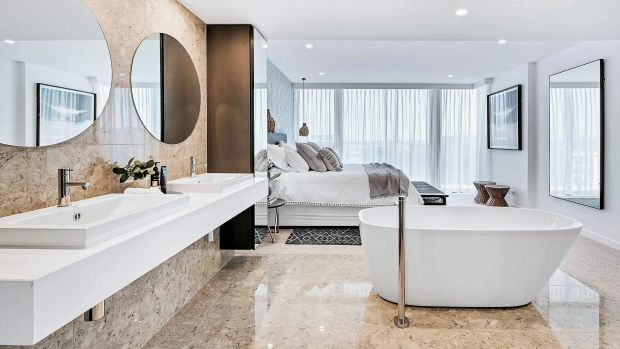 Apartment renovators should plan to spend between 6 and 9 per cent of the value of the property, according to the School of Renovating founder Bernadette Janson. “If they’re spending more than 9 per cent, they would I think be overcapitalising,” she said. 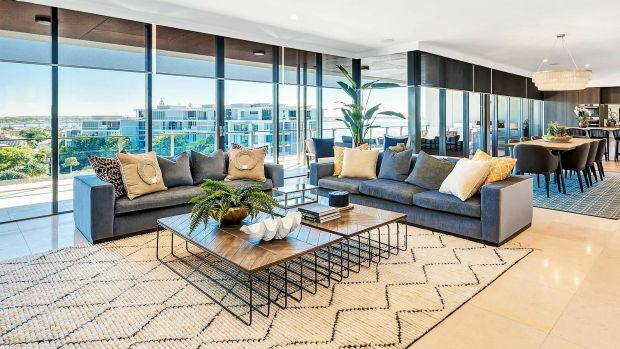 Directors of Sydney-based Living Space Constructions Shaun Hanley and Luke Whittington said their clients spent about 9 per cent of the property’s value, or about $85,000 on average. This figure varies across budget, mid-range and high-end properties, but the eventual buyer is the key factor that affects the spend. 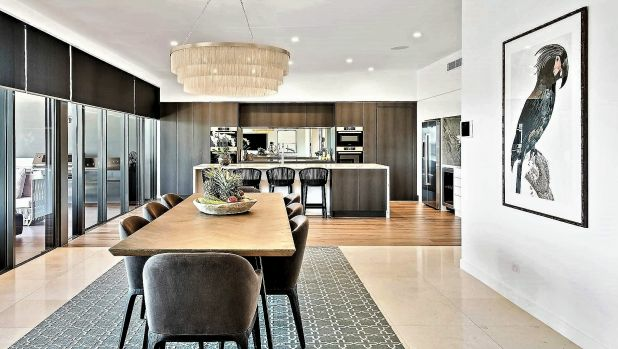 “If someone is after top dollar and they’re in a nice area, there’s some things buyers would expect and certain brands they want to see in a high-end home,” Mr Hanley said. 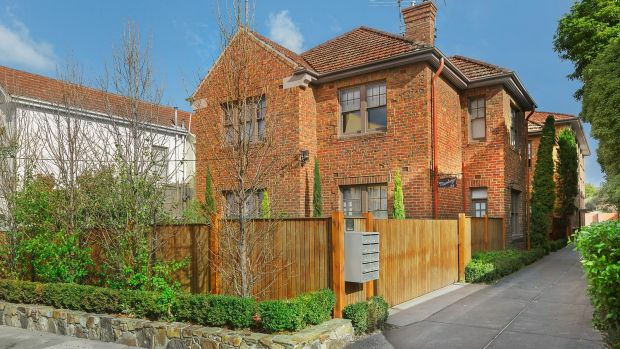 Founder of Melbourne-based Property Boost Russell Miles said apartment renovators should keep the budget below 10 per cent of the property’s value, depending on their intentions with the property. “Some people just want to make it an amazing place to live so they’re happy to spend extra,” he said. The larger the apartment, the more you’ll need to spend, but costs aren’t always directly proportional to floor space. Painting walls and replacing flooring won’t cost as much as renovating expensive rooms such as the kitchen and bathroom. “Once you go from one bathroom to two bathrooms, that’s adding to the cost,” Ms Janson said. And with larger surfaces to tile and additional fixtures, bigger bathrooms will cost more. Removing an internal wall is one of the most expensive apartment changes, as it requires engineering, demolition, new beams, and repairs to surrounding surfaces. But despite a cost of about $14,000, Mr Hanley said it was worth it. Major changes require approval from the owners corporation which can be time-consuming. If a property is untenanted while loan repayments continue, delays can be surprisingly costly, according to Mr Hanley. Finding the middle ground between scrimping and overcapitalising is the key to a successful flip, according to The Block: Sky High winners Alisa and Lysandra Fraser. “When it comes to flipping, you need to consider profits versus outlay,” Alisa said. “You may be itching to install a natural stone benchtop in the kitchen, but it’s bound to be a big cost. You may be better off looking at a different surface that does the same job. To estimate the sale price of your apartment once it’s renovated, study recently sold apartments of a similar size in the area, looking at the level of finishes in each apartment. Don’t forget to account for stamp duty to buy the apartment, and agent and marketing fees to sell it.